First, let me say that all the tracks, well almost all the tracks, are of pretty high quality on this soundtrack. The Prague Philharmonic Orchestra does an excellent job in playing these tracks so there's nothing to complain about there, however the compositions themselves leaves a bit to be desired. 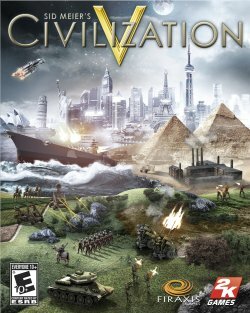 You see, the way that the composers have tackled the music in Civ V was to take some source material for the civilization (e.g. Ancient Roman melodies for the Roman Empire for example) and then incorporate it in such a way that a modern Western orchestra can play it. While for some tunes the combination turns out brilliant (e.g. the Americans with "America the Beautiful" and England with "I Vow to Thee My Country") with others it just sounds downright wrong. Playing sitars accompanied with Western orchestral doesn't make the music ethnically Indian. I can't say I'm a big fan of the Aztec music either. What they should have done was incorporate ethnically authentic music for each Civilization, which is what they used to do in previous Civilization games. Well you need to pay a lot of money in order to get the soundtrack since you cannot buy it separately (at least I haven't found a way that you can do it anyway). I had to pay $130 for the Collector's Edition and if you want to get the soundtrack that comes with Steam you'll need the Digital Deluxe version which is about $90USD. For those interested in obtaining this album you'll have to buy the Collector's Edition of the game (which I'm guessing is no longer available). You can however get the Steam Digital Deluxe version and it comes with the soundtrack which I'm assuming is the same thing, but don't quote me on that :).